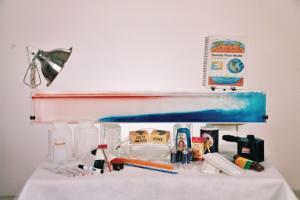 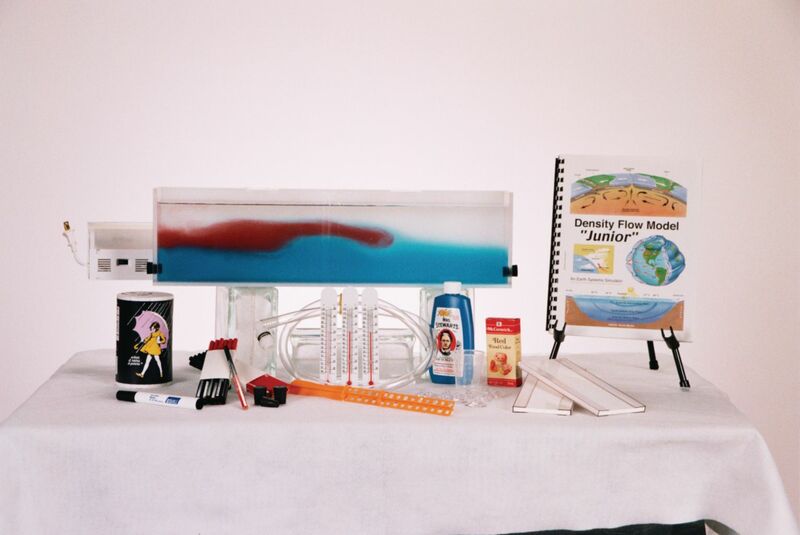 The Density Flow Model assists educators as they demonstrate abstract Earth Science concepts in the classroom. It challenges students to use scientific inquiry techniques to explore geology, meteorology, and freshwater and saltwater systems. Using the illuminated flow of colored fluids, students can visualize abstract concepts related to plate tectonics, sea-floor spreading, air masses, fronts, air pressure, winds, ocean currents, thermoclines, haloclines, upwelling, El Nino, and more.